DUI checkpoints cannot be used by police UNLESS all constitutional requirements are met. The way a Georgia DUI attorney uncovers errors is often through demanding a pre-trial motion hearing. At this hearing your criminal defense lawyer can question key law enforcement officers who were present at the police checkpoint to bring out flaws in the police procedures. A judge hears this evidence, and either GRANTS the motion in limine, or suppression motion, or DENIES it. Whenever a person stopped at a DUI checkpoint does not FIGHT the roadblock evidence, this opportunity to beat a DUI is completely lost. The best DUI lawyers will typically file a pre-trial, detailed, and particularized motion in limine, and a suppression motion, in almost every DUI defense case. Simply stated, a motion in limine is a motion intending to LIMIT the Prosecutor’s use of certain objectionable evidence, such as an HGN eye test, or the breath alcohol test results obtained by police by violating some aspect of the Georgia implied consent law. A suppression motion usually denotes a Constitutional law violation, such as seeking to dismiss a DUI entirely, due to a DUI checkpoint in Georgia being operated illegally. This passage from a key Georgia DUI checkpoints case is a word-for-word reprint of whet the Georgia Court of Appeals ruled, in throwing out a DUI checkpoint in GA. The purpose of posting the wording here is to demonstrate that a motion in limine or suppression motion MAY win your DUI case, and you will never have to go to trial. In one of Atlanta DUI attorney William Head’s appeals, State v. Ayers, 257 Ga.App. 117570 S.E.2d 603 (2002), the Georgia Court of Appeals highlighted his cross-examination of the DUI checkpoint supervisor, Doraville police Sgt. Tommy McElroy, and obtained the key testimony that led to the entire dismissal of the client’s sobriety checkpoint case at a pre-trial motion hearing. The DUI lawyer Atlanta (through cross-examination) revealed the flaws in the City of Doraville’s DUI checkpoints written protocols for its supervisory officers. Answer: I don’t know what you mean by setting the purpose of it. The purpose is to enforce the laws. Question: And the primary purpose of this checkpoint was not just licenses? Question: It was general law enforcement? Question: The primary purpose of this roadblock though, if I understand—. Question: You did not pick out any particular primary purpose other than general law enforcement? In light of the officer’s testimony as set out above, we conclude that there was sufficient evidence to support the trial court’s finding that the purpose of the roadblock was general law enforcement. 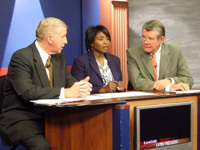 Atlanta Board Certified DUI lawyer William C. (Bubba) Head has been a DUI lawyer for over 40 years. 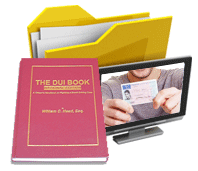 Since almost all DUI checkpoints are put in place to try to interdict driving under the influence, these cases are routinely part of his DUI defense cases. He and his law partners have won over 100 DUI checkpoint cases, and most have been won at the pre-trial motion phase of the case. 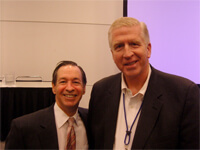 DUI lawyer Larry Kohn has worked with Mr. Head for 20 years. 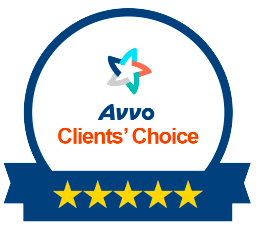 Mr. Kohn is a 2017 Super Lawyer, and has over 330 five-star attorney reviews posted at AVVO.com by his former clients. Another DUI lawyer, Cory Yager, is an ex-law enforcement officer who was part of police checkpoints at both Cobb County Police and at the Roswell Police Department. The five-time Super Lawyer Rising Star has earned a sterling reputation in DUI law practice, and has won statewide awards for his ability to settle difficult DUI cases prior to trial. His prior police training, where he was a Field Training Officer, provides Mr. Yager with special insight into sobriety checkpoints and the flaws that help our criminal defense lawyers WIN when others do not. Mr. Head’s DUI lawyer reviews on AVVO.com verify his skills at winning, and show why he is considered by most attorneys in Atlanta to be the best Atlanta DUI lawyer. A Super Lawyer in Georgia since 2004 (when the attorney rating platform began), Mr. Head has been called Atlanta’s Best DUI attorney by numerous lawyer rating services or publications. For example, he was named as best Georgia DUI attorney by BestLawyers.com for the years 2012 and 2017. The 2012 recognition also brought a short biographical profile of Mr. Head in the Best Lawyers’ magazine, as being Georgia’s top DUI lawyer. In January of 1991, Bubba Head published the FIRST book ever on How to Beat a DUI, which was entitled, “101 Ways to Avoid a Drunk Driving Conviction.” Mr. Head’s 5-star attorney ratings by previous clients are effusive. From these types of accolades, the Atlanta DUI attorney’s reputation as senior partner at one of the top DUI law firms in America is well-known by Atlanta lawyers. 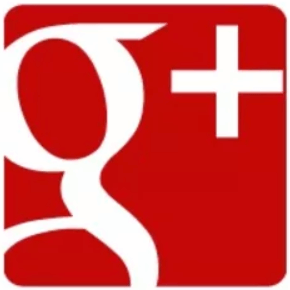 Why Not Talk to One of Our Free Consultation Lawyers?